Caladium Plant Poisoning is the accidental or intentional intake of the plant or plant product containing the compound. What is Caladium Plant Poisoning? What are the Causes of Caladium Plant Poisoning? What are the Signs and Symptoms of Caladium Plant Poisoning? How is First Aid administered for Caladium Plant Poisoning? Who should administer First Aid for Caladium Plant Poisoning? 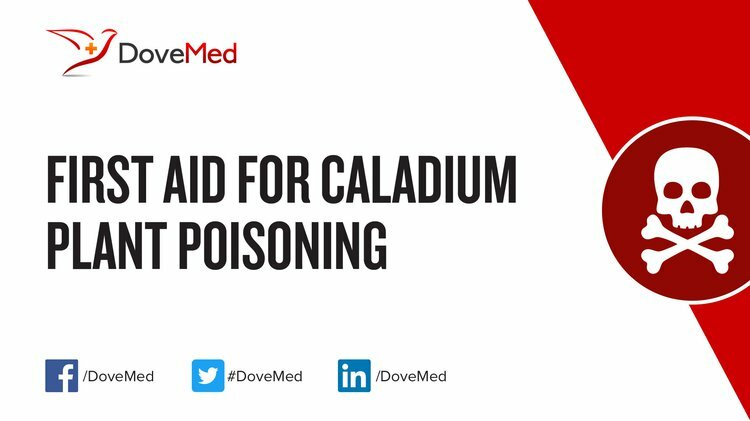 First aid for Caladium Plant Poisoning is administered by healthcare professionals. What is the Prognosis of Caladium Plant Poisoning? How can Caladium Plant Poisoning be Prevented? Antony, A., & Josephine, M. (2014). A survey on Poisonous plants in Nilambur, Kerala, India. Int. J. Curr. Microbiol. App. Sci, 3(11), 957-963. Diaz, G. J. (2011). Toxic plants of veterinary and agricultural interest in Colombia. International Journal of Poisonous Plants Research, 1, 1-19. Jiofack, T., Fokunang, C., Guedje, N., Kemeuze, V., Fongnzossie, E., Nkongmeneck, B. A., ... & Tsabang, N. (2010). Ethnobotanical uses of medicinal plants of two ethnoecological regions of Cameroon. International Journal of Medicine and Medical Sciences, 2(3), 60-79. Armien, A. G., Peixoto, P. V., & Tokarnia, C. H. (2011). Poisonous Plants Affecting Livestock in Central America with Emphasis in Panama. Poisonous Plants and Related Toxins, eds F Riet-Correa, J Pfister, AL Schild, and TL Wierenga. CAB International, 60-67. Farthing, K. (2015). Poisonous Plants: Understanding the Need for Accurate Identification and Timely Information. Laboratory Medicine, 27(4), 260-263. Patel, S., Nag, M. K., Daharwal, S. J., Singh, M. R., & Singh, D. (2013). Plant Toxins: An Overview. Research Journal of Pharmacology and Pharmacodynamics (RJPPD), 5(5). Williams, B. P. (2016). U.S. Patent No. PP27,513. Washington, DC: U.S. Patent and Trademark Office.